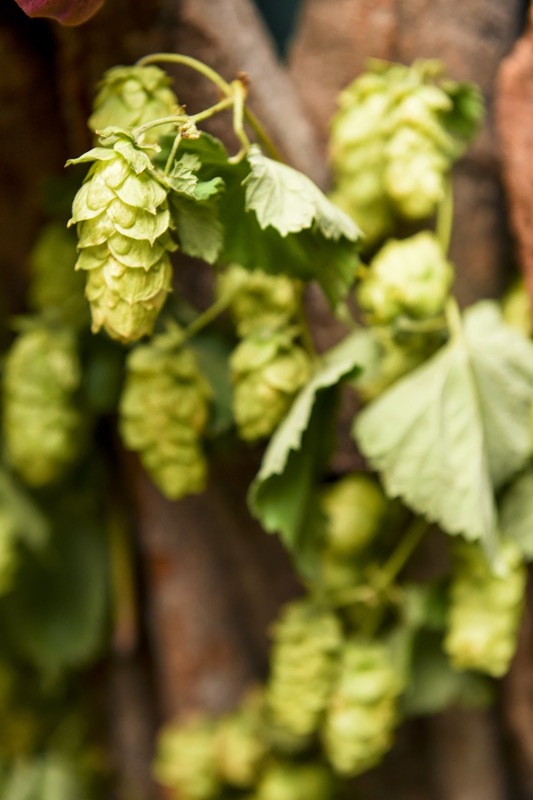 Every year brewers from around the globe descend on Australia in search of the perfect hop harvest. 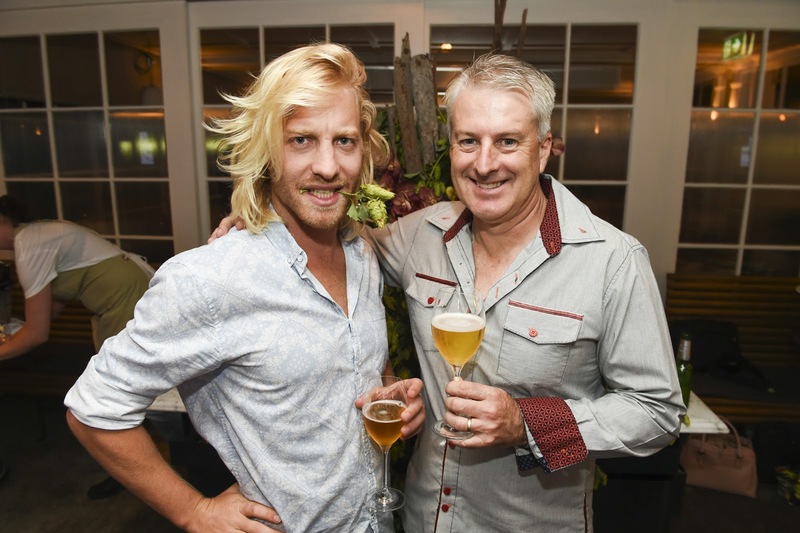 Whilst some of the harvest is earmarked for export, there is a growing demand for unique craft beer flavours here in Australia. Located approximately 60km from Hobart, Tasmania, is Bushy Park - home to the biggest hop garden in the Southern Hemisphere. 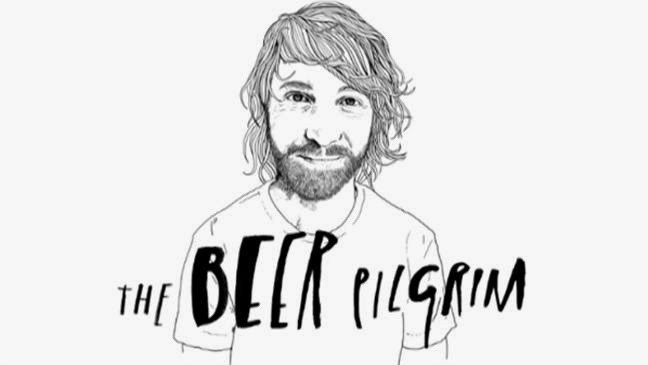 Tim Charody, known as The Beer Pilgrim, recently visited Bushy Park in search of the perfect hop. 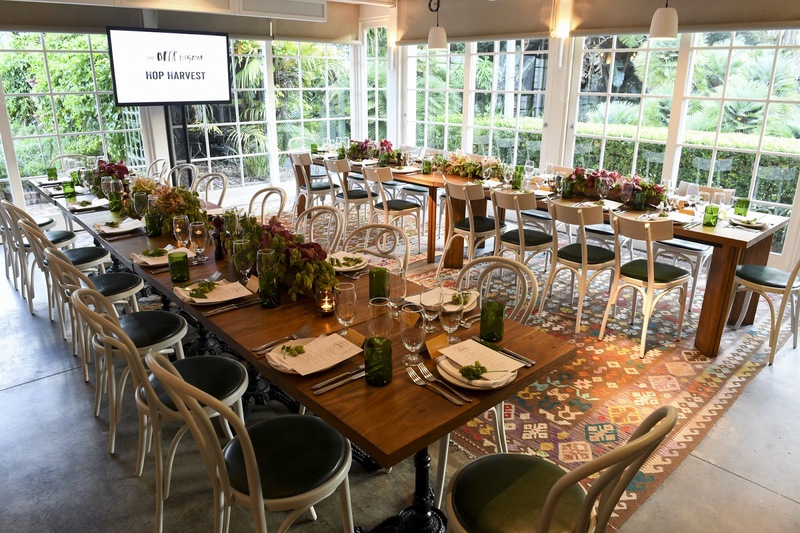 To help celebrate the annual Hop Harvest - Tim and Lion's Master Brewer Peter David recently hosted a hop inspired degustation dinner at Sydney's Chiswick restaurant. The evening began with delicious Cauliflower croquette canapés and James Squire 150 Lashes Pale Ale - A refreshing straw coloured brew with lovely fruity aromas. Next, we were treated to shared platters of wood fired bread, studded with garlic and oregano sourced from the restaurant's on-site garden. 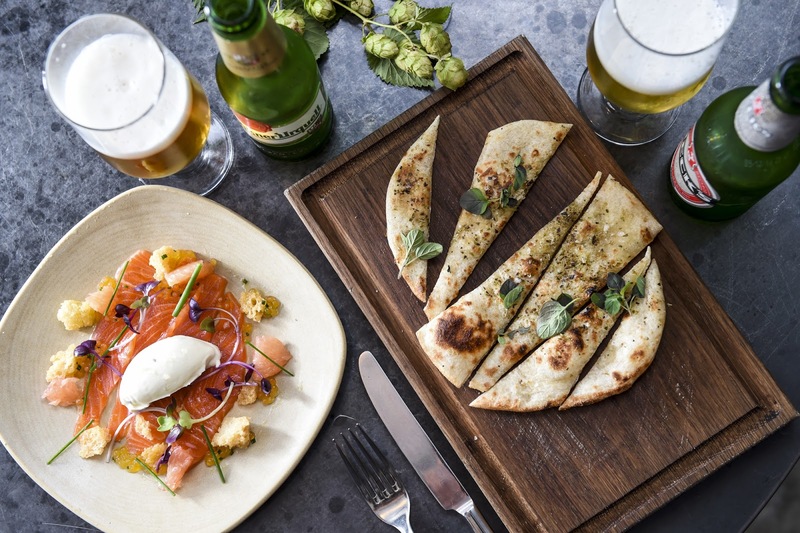 A Galaxy hop cured ocean trout with Yarra Valley roe and lemon verbena was also served, paired with Beck's and Pilsner Urquell beers. Of the two beers, I much preferred the Pilsner made with Saaz hops. 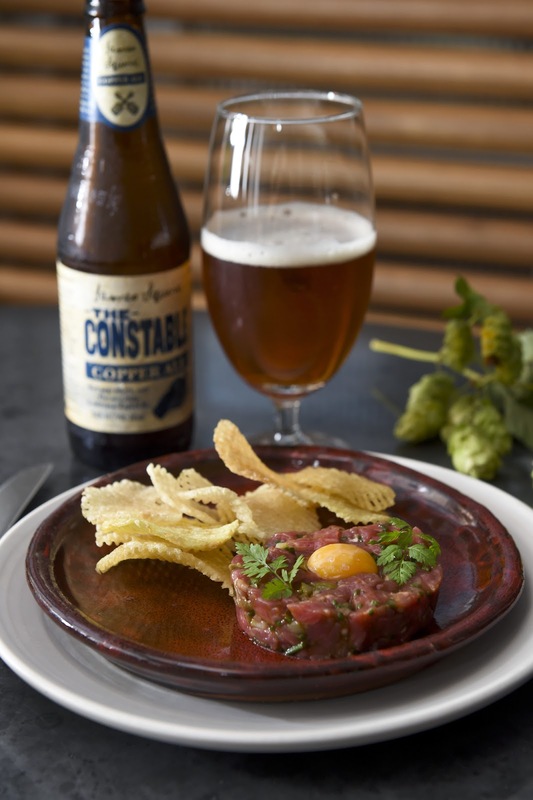 Individual entrées featured Chiswick's signature steak tartare, paired with James Squire - The Constable Copper Ale and Spitfire Kentish Ale. The Constable is a fairly balanced English style ale with earthy notes and a lingering hop bitterness. A perfect choice for the entrée. 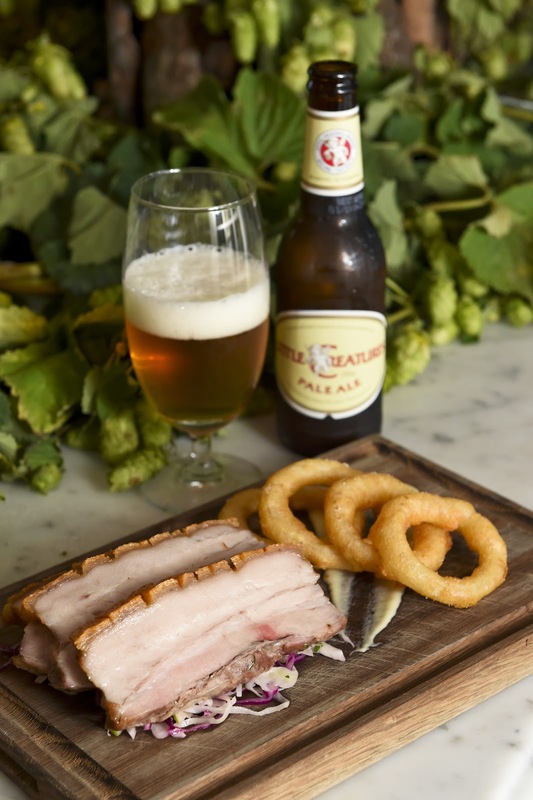 Shared mains included Super Pride hop roasted pork belly served with apple puree, coleslaw, Little Creatures onion rings and cos, pear and shiso salad. The pork crackling was crunchy, well seasoned and delicious however the pork was slightly chewy and not overly hot - I suspect it's temperature contributed to it's said texture. The apple puree was silky and aromatic and helped to lift the pork. The onion rings were a lovely indulgence. The pork was paired with Little Creatures Pale Ale and Knappstein Reserve - both fairly crisp refreshing drops. I preferred the fruity Knappstein over the Little Creatures. My favourite meal of the evening was the dessert. First we shared platters of moorish aged cheddar which was golden orange, crumbly and had a lovely bite to it. The paired beers both went well with the cheese. 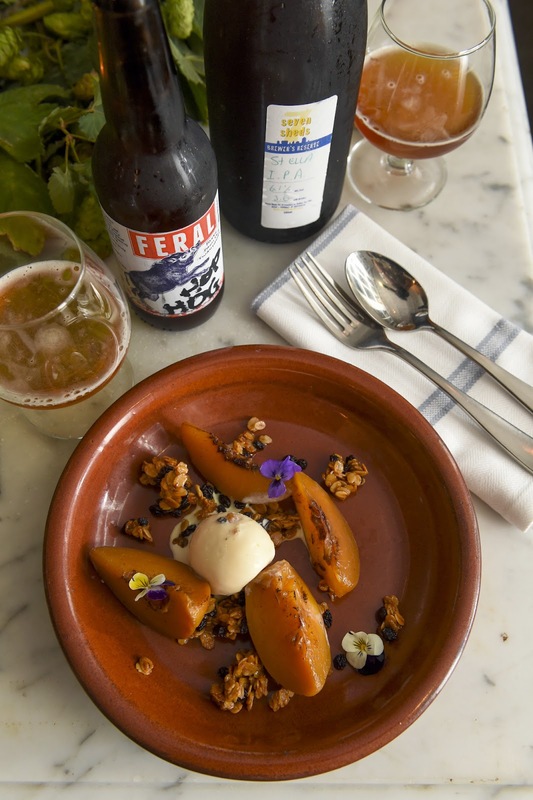 Individual plates of Roasted peach, granola and Feral Hop ice cream followed. The peach segments had been roasted to perfection and were easy to cut through with my spoon. They paired well with the chewy honeyed granola with currants and creamy hop infused ice cream. The flavour of the ice cream was subtle and not overly sweet which worked well to cut through the caramel sweetness of the granola. 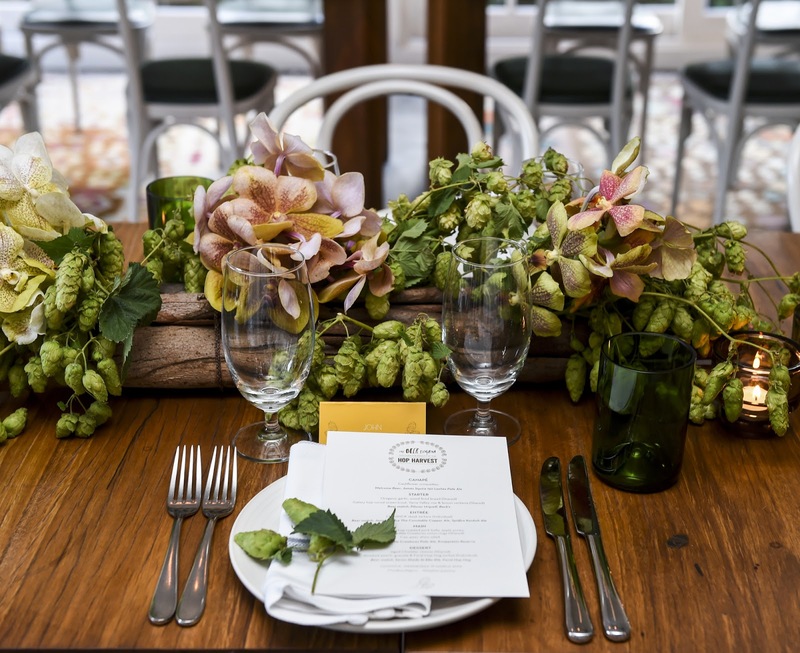 This gorgeous Autumn hop-inspired dish was the perfect ending to the evening. Photos courtesy of respublica pr. Wow, this looks amazing! Chiswick has been on my "must go" list for a while!